The usūl al-dīn, or the fundamental beliefs of Islam, are the foundational principles that necessarily come after the shahāda. Belief in them are needed in order for one’s Islam to be complete and in line with God’s purpose when He revealed Islam. 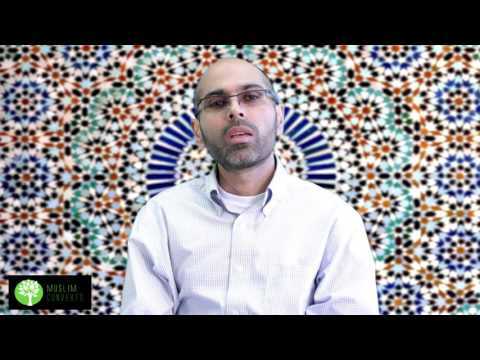 Thank you for tuning back in to the Muslim Converts Channel. In our previous lesson, we overviewed the basic Muslim creed through which one enters and converts to Islam. The creed which one utters before conversion is called the shahāda. The shahāda is a testimony, that is, a testimony to a fact and not just a thought that one can do away with! Stating the shahāda is the door through which one enters Islam. Accepting the contents of the shahāda naturally means that we must accept that which is taught to us by Allah (swt) through His revealed Book (the Qur’an) and His Messenger Muhammad (s). The shahāda contains within itself the foundations of Muslim beliefs called the usūl al-dīn or “principles of the Muslim religion”. All Muslims must believe in these principles for their faith to be complete. These principles or foundations are the following: Tawḥīd, ʿAdāla, Nubuwwa, Imāma and Maʿād. In this lesson, we will briefly introduce these principles. In the following lectures, we will discuss them one by one in more detail, inshā’ Allāh. These five foundational principles form the core beliefs of Islam. The usūl al-dīn guides the worldview of a believer and provides him or her with the proper grounding in how to think about God and the world. The rest of Islam’s beliefs, and even practices, are based on these five principles. Failure to believe in any one of them will lead to a faulty understanding of Islam. The uṣūl al-dīn, or principles of the Islamic faith, are a group of five basic tenants which a Muslim must hold for their Islam to be complete. It is the basic covenant that a Muslim holds with God. The uṣul al-dīn are Tawḥīd, ʿAdāla, Nubuwwa, Imāma and Maʿād. Here we will give a brief outline as to their significance and insha’Allah, we will expand on them more fully in the lectures to come. Tawḥīd: Tawḥīd refers to the “oneness” of God in Islam. Tawhīd is the most important foundation of Islam. Without Tawhīd, none of Islam or the Qur’an would make sense. It is therefore the vital life source that animates the whole of Islam. The term has a multilayered meaning. Its first layer of meaning is that there is only one God or deity. This deity is the one who brought all of existence into being. The other meaning is that only He is worthy of worship and only He maintains, sustains and administers the world of creation. As the One and Only God, He has no other divine partners in any of His actions. ʿAdāla: ʿAdāla means Divine Justice. In Islam, we do not believe that concepts of good and bad are arbitrary. We believe that things have intrinsic moral worth, either good or evil. As a corollary* of tawhīd, we believe that goodness and justice are part and parcel of tawḥīd. In other words, Allah is a good and just God. Whenever He commands something, He always acts in, and commands goodness. All His actions, therefore, have purpose and they are aimed for the greater good. God, according to Islam, never does any wrong, nor does He do anything without purpose. He seeks the Good in everything and never breaks His promises. In this sense, ʿadāla is a system of balance. God makes it obligatory upon Himself and to humankind. Transgressing this balance leads to corruption. ʿAdāla will be fully manifest on the Day of Judgment where everyone is measured against this vital balance. Nubuwwa: Nubuwwa means Prophethood. As the Creator of mankind, part of Allah’s divine justice is that He guides humankind towards salvation. This means that the goal and purpose of the creation of humankind is to reach closeness to Allah. As a result of His justice, God sent Prophets to teach humankind on how to purify and save their souls and ultimately reach closeness to Allah. The last and most important of these Prophets was the Prophet Muhammad (s). Prophets who receive Holy Scriptures are called Messengers. The Prophet Muhammad (s) was also a Messenger since he delivered the Holy Qur’an. Imāmah: Imāmah means divine leadership. Since the Prophet Muhammad (s) was the last Prophet and Islam was the last religion to be revealed by Allah, Allah appointed leaders to guide humanity. These divinely guided leaders were tasked to preserve and protect the authentic message of Islam. These divinely guided leaders are called Imāms. The Imāms are able to fully protect the message of Islam as they receive divine knowledge from Allah and are infallible and perfect in knowledge. The 12 Imāms are from the Holy Household of the Prophet Muhammad (s). The Holy Household of the Prophet (s) are a group of pure individuals from his family who are selected by God to guide humankind. Māʿād: Maʿād (also called Qiyāmah) means resurrection, as in the resurrection of all of humankind that will take place on the Day of Judgment. As a Just and Good God, Allah is concerned about the spiritual health of humankind. He has therefore set a system of reward and punishment in order perfect people's spiritual state and outward behavior. Those who are successful in this endeavor will enter Heaven, whereas those who are not may enter the Hellfire. Maʿād is the result of God’s justice to humankind where He rewards the good with good just as He promised, and He lets those who chose evil witness the bad consequences of their choices. These five principles are foundations of a complete Islam. As principles, they are “hardcoded” in Islam and are not up for interpretation. Their details and implications, however, are subject to interpretation. Before we end this lesson, it is important to state that there is an even smaller set of principles which one must believe in order to be a Muslim even if one’s Islam is “incomplete.” These are called the ḍarūrīyāt al-dīn or “necessary foundations in order to be considered a Muslim.” The ḍarūrīyāt al-dīn are four: Tawhīḍ, Nubuwwa, Maʿād and items which all Muslims agree upon (e.g. obligatory of prayers). Without belief in these core concepts and one cannot be a Muslim. However, one can still be a Muslim if, for example, a person was to reject Imāmah without being aware of its truth as it is not part of the ḍarūrīyāt al-dīn. For this reason, the uṣūl al-dīn as such are all necessary for a complete Islam that is in accordance with Allah’s will upon mankind, but they are not all necessary in order to be a Muslim. The first is Tawhīd or the Absolute Oneness and Unity of God, meaning that Allah is the Only Creator and Sustainer of all of existence and that He has no partners in anything He does. It also means that He is the only One worthy of worship to the exclusion of all other things. All other beliefs in Islam are predicated on the notion of tawhīd. The second principal is that of ʿadālah, or Divine Justice. This means that God is absolutely good and just and He does not command or act unjustly towards His creation. The third principal is Nubuwwa or Prophethood. As a Just God, Allah sent Prophets to humankind in order to guide them to salvation. The most important and final Prophet is the Prophet Muhammad (s). The fourth principal is Imāmah or Divine Leadership. As the Prophet Muhammad (s) is the final Prophet, and Islam is the final religion, we need divinely guided leaders to protect the message and interpretation of Islam. These divine leaders or Imāms are 12 in number and are from the Holy Household of the Prophet (s). The fifth principal is Maʿād or resurrection on the Day of Judgment. As the God wants the best for humankind, He sends Prophets to warn them about a Day of Judgment in which they will be accountable for their deeds. How many usūl al-dīn are there? Do I need to believe in all of the usūl al-dīn in order to be a Muslim? No, you need to believe in all so that your understanding of Islam, and your subsequent responsibilities that come thereof, is complete. There are some aspects of the uṣūl al-dīn that a person does not need to believe in in order to be a Muslim as long as it is done in good faith and out of innocent ignorance of the truth. What are the usūl al-dīn? If the God of Islam is One and has no partners, then what do angels and prophets do? Aren’t they partners that help God manage the world of creation? A partner is someone who is your equal and you are in need of them in order to do things. Angels and prophets are servants of Allah who by His choice, enact His will in the world of creation. He does not need them to manage the world or create it, He simply chooses them as His servants to enact His will although He can do this without them. Will the resurrection on the Day of Judgment be physical or spiritual?